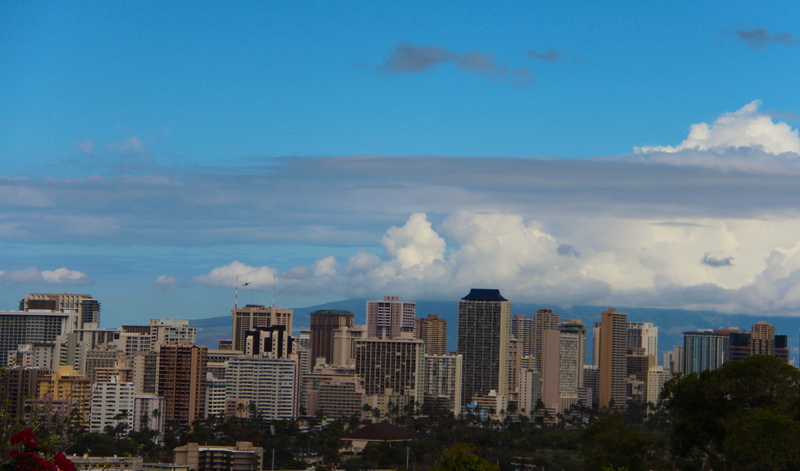 Some of my favorite views on Oahu are of our mountains. I love the clouds on the horizon. 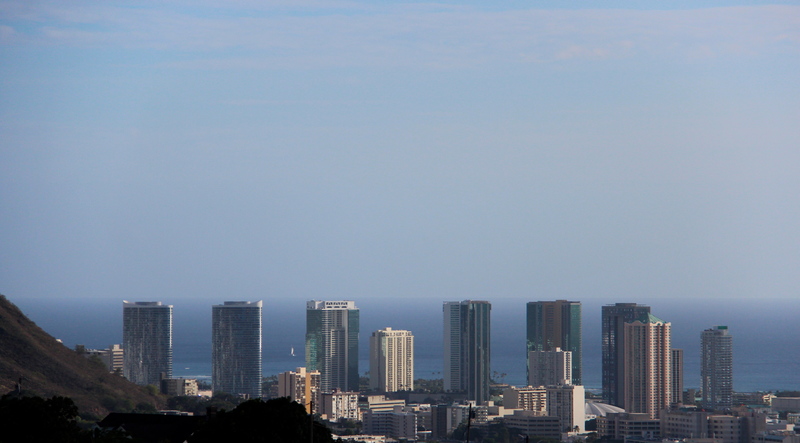 Honolulu skyline from a different view. 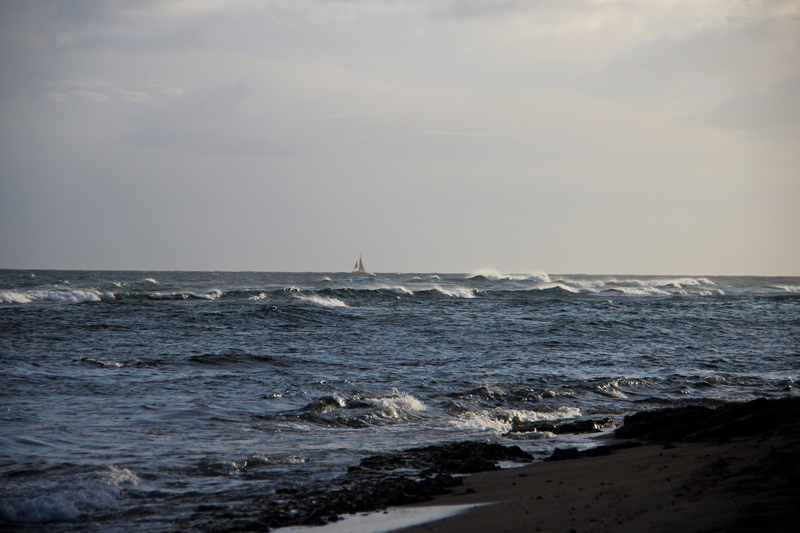 One where it almost reaches the horizon. I’m grateful for beautiful views. Don’t forget to click on the link above to see what others are sharing. I love your choice of photos for the challenge – beautiful! [ Smiles ] Your attempt of this challenge was a fabulous one! Very nice!! Loved them all!